Merton Council has resurrected plans to build a floodlit multi use games area on the currently disused tennis courts at the Canons. This is the most shocking development proposal we have seen in Mitcham Cricket Green Conservation Area for some time and we’re utterly dumbfounded that it comes not from a private developer but from the council – who really should know better how to work within the Conservation Area. In our view this plan is entirely inappropriate. We are entirely supportive of encouraging sporting uses for the Canons area. we’re proud of its rich sporting history and want to see the spaces used by local people for sporting and leisure activities. We would love to see the tennis courts brought back into use, and would be delighted to support and help fundraise for a scheme that re-uses the former tennis courts without floodlighting. 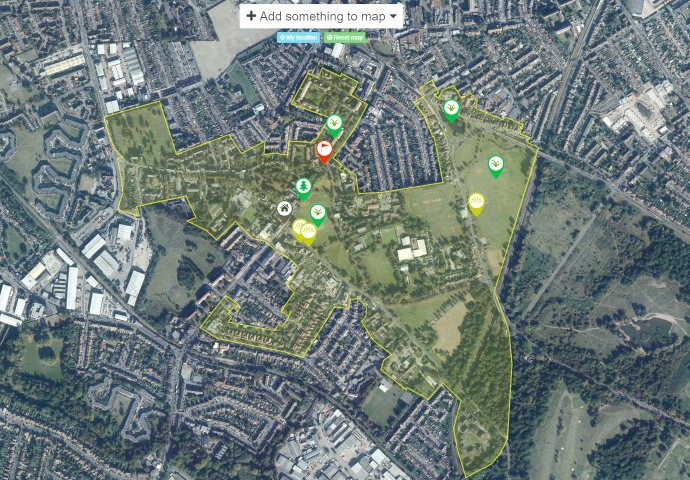 This entry was posted in Cricket Green Conservation Area and tagged Canons, Cricket Green Conservation Area, floodlights, MUGA on November 30, 2013 by mitchamcricketgreen.